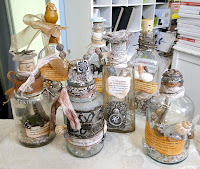 Whenever we come across an empty glass bottle or a broken piece of jewelry, old or new – it is difficult for us to throw it away. There are endless ways to renew, embellish and display them. 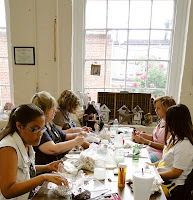 Twice during the past two months ShaDeeLa had the privilege of teaching “Bottled Curiosities” Workshops at The Queen’s Ink in Savage Mill, Maryland. 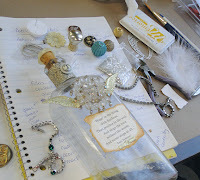 Some of the techniques that were taught included, how to search for antique bottles, the application of embellishments and our signature antiquing secrets. Amazing creativity and passion were expressed in each of the artists completed bottles. We were enlightened by the amount of originality that surfaced in these workshops. Join us for our upcoming “Bottled Curiosities” Workshops at The Serenity Shoppe in Snow Hill, Maryland on August 24th and at The Queen’s Ink in Savage Mill, Maryland in October (dates to be announced). 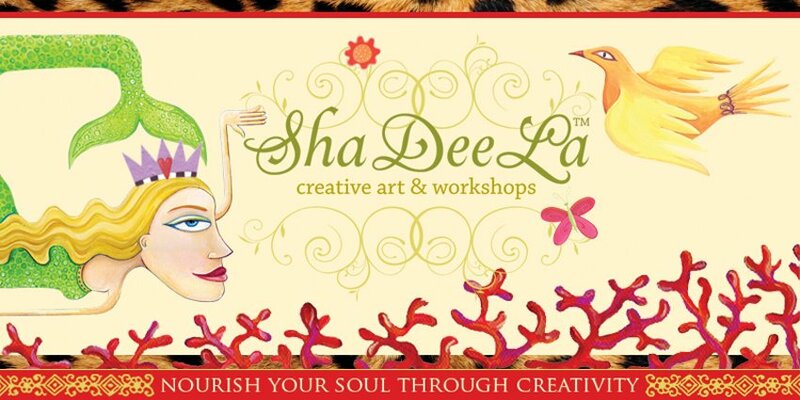 Visit our Facebook page to see what innovative artists of all skill levels can create.